This is the first video in a series of documentaries that follow Golf Co. 2nd Battalion 5th Marines during Operation Branding Iron their most dangerous Op yet. They must eliminate a Taliban safe haven in the Zamindawar Region, widely known as one of the most dangerous places in Afghanistan. I’ve personally viewed this and the level of graphic images is nil. Talk about “A Day in the Life…” Here’s 15 days in the Life of US Marines. On October 14, 1912, an unemployed saloonkeeper shot former president and Progressive Party candidate Theodore Roosevelt outside a Milwaukee hotel. Rather than being rushed to the hospital, Roosevelt insisted on delivering his scheduled 90-minute speech. By slowing the bullet, those lengthy prepared remarks may actually have saved his life. This is a “spillover” from the earlier post; I wanted to emphasize this ONE event that characterizes our former president, our Teddy Roosevelt. Although there are those who say he could never get elected in 2014, we sure could use the moxy he displayed over 200 years ago in [or around?] the White House today. I give you my word, I do not care a rap about being shot; not a rap. After binge-watching Ken Burns’ latest 14-hour documentary on the Roosevelts, I moved through the world at its deliberate pace. I was scheduled to meet Burns for breakfast and panned across the restaurant looking for him the way his camera helps you find a young FDR in a Harvard group photo. A trusted narrator in my head described the scene, accompanied by a piano. I expected David McCullough would be letting us know about the specials on the menu. The pace quickened upon contact. Ken Burns is not like a Ken Burns film. He is fast-moving and speaks in riffs, nearly the linguistic opposite of his carefully constructed documentaries. Over 45 minutes our conversation touched on Harry Potter, the shooting in Ferguson, Vietnam, the Affordable Care Act, money in politics, shredded attention, restraint, the press, Mitch McConnell, Tolstoy, Ecclesiastes, steroids in baseball, the missing Malaysian airliner, and the nature of art. 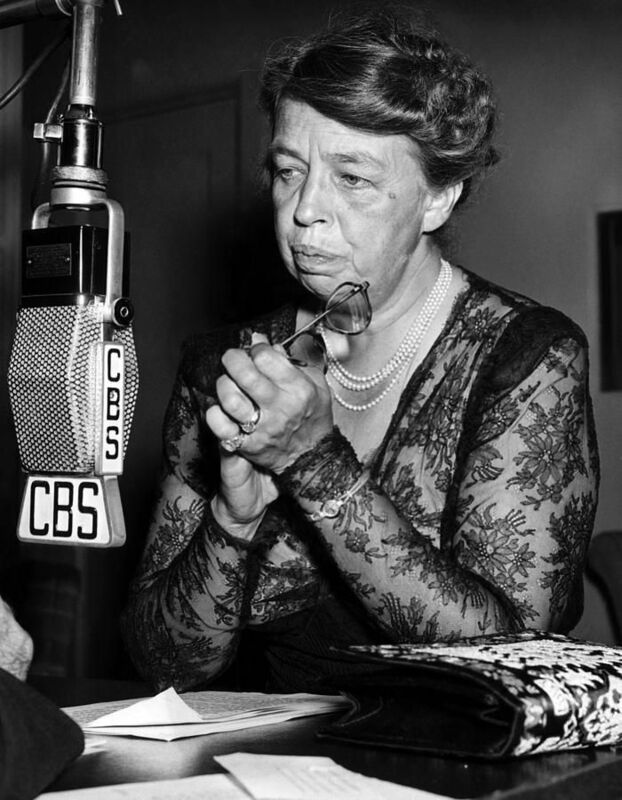 And yet we still had time for the crowded lives of Teddy, Franklin, and Eleanor Roosevelt, and the more than 100 years of American history contained in The Roosevelts (airing at 8 p.m. Eastern on PBS from Sept. 14 to 20), which Burns spent the last seven years shaping into a seven-part narrative. It is three stories interwoven: the American story of rapid industrial and cultural change from the Progressive Era through World War II, the political story of two men who shaped the modern presidency, and the personal story of three towering figures full of wounds and failures and triumphs. Despite the range of subjects we covered, our conversation was mostly about pace. Burns is in a great hurry to get people to slow down. He would like them to watch 14-hour documentaries, of course, but also to understand the complexity and tensions at the heart of history. It makes for more meaningful lives, he believes, and a better understanding of events, including the ones unfolding before us in the present. 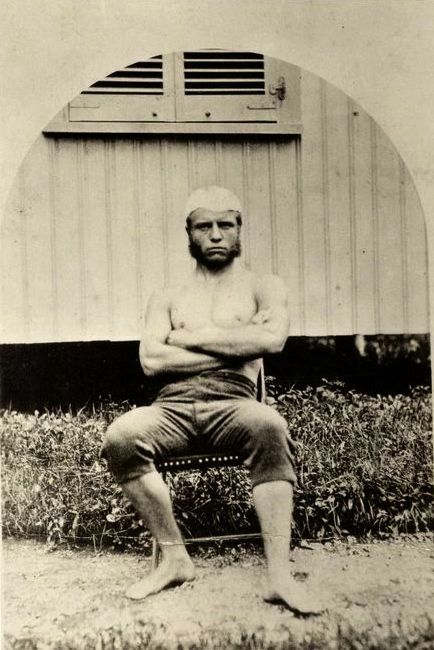 Young Teddy Roosevelt. Here he is straight from sculling practice at Harvard. It’s impossible not to think about these two presidents in the modern context, because the issues of the last century are the issues of today. What is the role of government? What can a citizen expect from that government? What is the right balance between idealism and pragmatism? How does character shape leadership? How does adversity shape character? Teddy Roosevelt and his fifth cousin expanded the modern presidency and put the federal government to work for the people in a way it never had been before. “The Constitution was made for the people, not the people for the Constitution,” TR said. It is sometimes said that presidents make their own weather. This may be a fanciful understanding of the power of the office, but if this theory has any merit, it is in part because of these two men. When Barack Obama is criticized for not using his power to do more, he can blame 26 and 32 for setting such a high standard. Times were different. As Burns points out, the Roosevelts could never get elected in today’s political world. Still, there is also a relentless activity from both Roosevelt presidents that makes it hard to imagine that, if they did win office, they would be stymied by today’s political gridlock. “They reveled in the contact sport of political persuasion,” said Burns. They might fail in confronting their adversaries, but the effort would be spectacular. Bold, persistent experimentation is what FDR called it. Both Roosevelts were always on the move, clashing with the prevailing order, whether it was the party bosses or members of Congress. They often won. FDR had the Depression to create the sense of crisis that gave him free rein, but Teddy Roosevelt had no such calamity. He worried about that, saying that Lincoln would have been a forgettable president without the Civil War. Teddy had no such war, and yet we still talk about his bully pulpit and quote his aphorism about carrying a big stick when talking about presidential power. He took on the monopolies, threatened to send federal troops to operate the coal mines, and battled for the Pure Food and Drug Act and the Federal Meat Inspection Act. You’d love to see Teddy Roosevelt and Andrew Jackson in a cage match for toughest president. Both men survived being shot at by assassins, but Roosevelt was actually hit by a bullet and then gave an hour-long speech, opening his shirt to show the growing bloom of blood. This scene is vintage Burns, opening with the ghostly voice of William McKinley, who Roosevelt’s would-be assassin said had told him to shoot the president, then shifting to the X-ray of the bullet in Roosevelt’s chest, and finally hearing Paul Giamatti as Roosevelt reading the opening lines of his remarks. “Friends, I shall ask you to be as quiet as possible. I don’t know whether you fully understand that I have just been shot; but it takes more than that to kill a Bull Moose.” After his presidency, on a trip down the Amazon, a bedridden Roosevelt almost did himself in with an overdose of morphine to save his companions from having to cart him through an impasse in the bush. Teddy Roosevelt also glorified war for its own sake, treating it as a refreshing purgative to enliven the spirit and a country’s greatness. As George Will points out in Burns’ film, Teddy set the stage for a century of bloody warfare. Will is a particularly good voice among the cast of eminent scholars and writers as a counterbalance to the heroic portrayal.””George Will’s presence in the series is the governor on the overenthusiastic hagiography,” said Burns, whose Civil War series has been criticized for losing historic reality to a sentimental view. The subtitle of the film is “An Intimate History,” which means it is different than the normal Burns fare. He and writer Geoffrey C. Ward focus much more on the personal architecture behind these figures than they did in the Civil War series or their collaborations on baseball or jazz. The material is rich and plentiful, and it makes each of these characters feel textured. All grew up in lives of privilege, but all faced brutal setbacks. 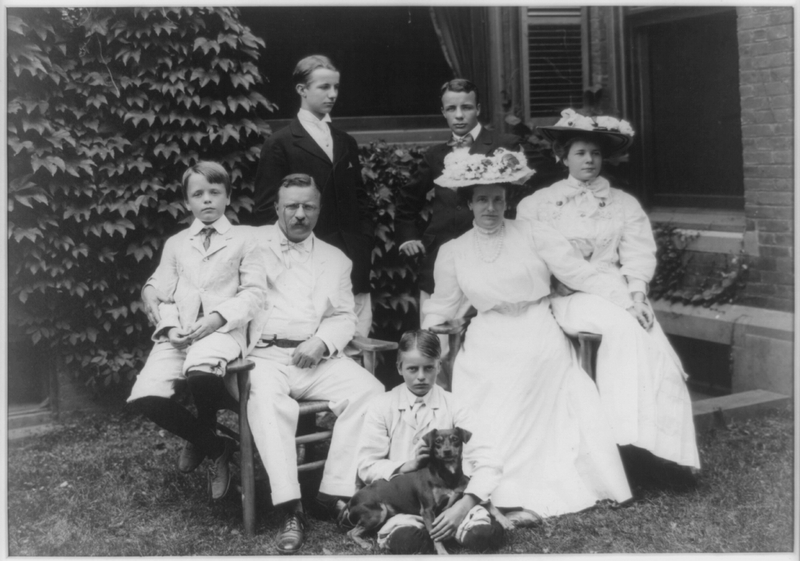 Teddy Roosevelt was born with crippling asthma; his wife and mother died on the same day. His bouts of depression led to that life of activity. “Black care rarely sits behind a rider whose pace is fast enough,” he said. 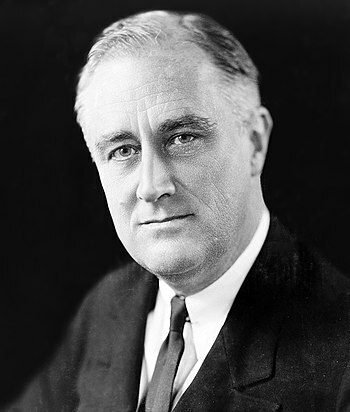 FDR was a deeply selfish man coddled by a controlling mother, but his bout with polio almost ended his life. 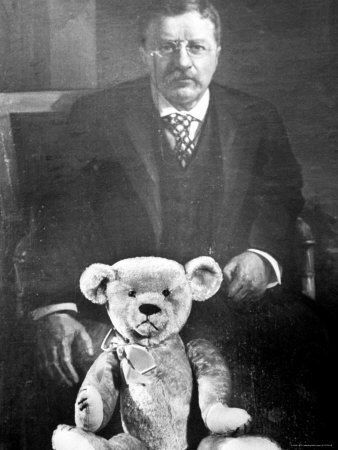 Though FDR followed his older cousin’s career path, it is his wife who shares the closest psychological similarities with Teddy. She grew up insecure and unloved and then married a man whose infidelity only compounded those insecurities. The still photographs Burns chooses when talking about FDR’s selfishness (the upturned nose, the smug air) are perfect; the shots of the couple during strains in their marriage show them to be a million miles away when standing side by side. Eleanor threw herself into her work. Once a day, do something that scares you, she said. Eleanor Roosevelt also had a group of dark riders she was trying to outrun. via Teddy Roosevelt would never get elected in 2014 – CBS News.